The Wall Street Journal reported Monday that Amazon may split its second headquarters campus between two cities, placing about 25,000 employees in each. The Seattle company is widely expected to announce where it will place HQ2 in the next few weeks. More than a year after announcing a search for a city to place a second headquarters campus, Amazon may be close to a decision that, instead, would split its second home between two cities. The Wall Street Journal reported Monday that Amazon planned to divide its second headquarters staff evenly between two locations instead of picking a single site for what it calls HQ2. The Seattle company is widely expected to announce its HQ2 decision within the next few weeks. Amazon in September 2017 said it aimed to put some 50,000 workers in a second headquarters city and spend up to $5 billion on a new corporate campus in a build-out beginning sometime in 2019. That proposal, the largest corporate-led economic-development opportunity in recent memory, drew hundreds of bidders, many of whom were eager to put publicly funded tax breaks and other incentives on the table to lure the retail and technology giant. The change of plans would put 25,000 workers in each of two HQ2 bidding cities, a move designed to give the company a greater ability to draw from different pools of talented workers, the Journal reported. Such a decision also could reduce the odds that Amazon’s infusion of tens of thousands of workers would have disruptive effects on a single winning city’s housing market or transportation system. Chief Executive Jeff Bezos and the other Amazon leaders deliberating on the company’s headquarters plans are familiar with the risks that accompany a dominant role in civic life. The company’s expansion in Seattle, from about 5,000 employees in 2010 to more than 45,000 today, caught both Amazon and city policymakers by surprise. That growth coincided with — and, critics say, helped to fuel — a housing affordability and homelessness crisis and increased congestion. By the time Amazon and city leaders fought over a payroll tax to fund homelessness services earlier this summer, there was already a perception among some in Amazon’s leadership that the company was being unfairly scapegoated. 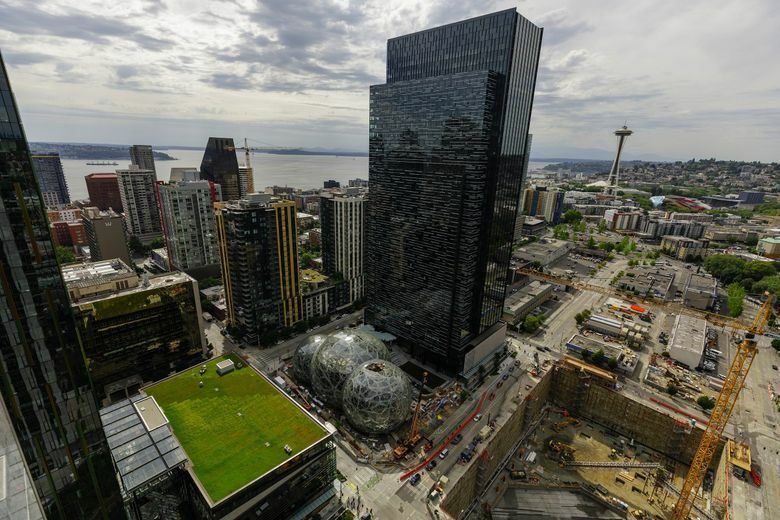 One person familiar with Amazon’s HQ2 selection process told The Seattle Times that the company was wary of repeating its experience in its first hometown, a sentiment that could weigh against putting the full planned complement of HQ2 workers in one of the smaller candidates on Amazon’s shortlist of 20 finalists. The original decision to pitch a second headquarters, rather than a satellite office, to North America’s mayors was a quintessentially Amazonian decision, in line with Bezos’s corporate diktat to experiment and reject conventional wisdom. But an approach to split Amazon’s headquarters expansion among multiple cities, if it materializes, would also fit with Amazon’s preference for decentralized teams, both organizationally and physically. The company has been experimenting for more than a decade with a network of satellite offices. Teams in Seattle collaborate with peers across the country and world. Earlier this year, the company had 17,500 corporate employees in other North American locations. “What a lot of people don’t know is Amazon has already distributed its workforce,” said Matt Williams, who spent years at Amazon after it bought his dotcom-era startup, before leaving and founding another company. A major element of training for executives, during Williams’s time at Amazon and today, concerned how to grow teams and expand at different work sites without breeding corporate dysfunction and lethargy. Amazon’s request for proposals, made public in September 2017, left open the door that the company could entertain multiple offers, or opt to select none at all, with a disclaimer at the very end of the eight-page document that started the company’s HQ2 search. Richard Florida, an urban scholar and professor at the University of Toronto, said in a post on Twitter Monday that he suspected that more than two cities would end up receiving some form of investment from Amazon at the end of the HQ2 process. “What’s most interesting here is the sense that we are looking not at a single HQ2 announcement, but a broader corporate locational strategy” with two or more sites for different corporate functions, he said.